October 28, 2014 – John Troeltzsch, of Ball Aerospace, will be giving a public lecture at the Laboratory for Atmospheric and Space Physics (LASP) in Boulder on November 12. The topic of the lecture will be NASA’s Kepler Mission and the newer K2 Mission. Kepler, launched in 2009, finished its primary mission in May of 2013 when the second of four reaction wheels malfunctioned. This phase of the mission continues to revolutionize our understanding of the prevalence and characteristics of exoplanets in our galaxy through data analysis. 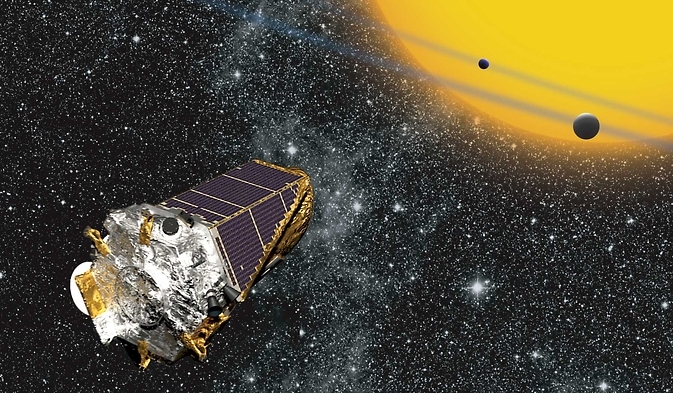 The end of the primary mission data collection has opened the door to a new era for Kepler called K2, which was approved by NASA in June 2014. The K2 team of NASA Ames, Ball Aerospace, and LASP are now continuing exoplanet research, but are also supporting many new science opportunities for the powerful space telescope including stellar research and extragalactic studies. Unlike Kepler, K2 science observations are community driven through 100% open competition to select targets. John Troeltzsch, the Ball Aerospace Kepler Program Manager, will discuss highlights of Kepler’s prime mission, how K2 came about, and what K2 will accomplish. The lecture will begin at 7:30 p.m. in LASP Space Sciences Building, Rm. W120, 3665 Discovery Drive, Boulder, Colorado.